John Siris has 15 years of experience in the structured products space. 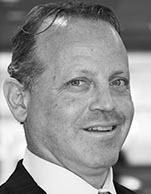 At Guggenheim Securities, Mr. Siris focuses on the origination of esoteric ABS assets including maritime/transportation asset securitizations, tax lien, PACE and real estate related transactions, energy efficiency ABS, whole business securitizations, entertainment transactions, and other IP and operating asset ABS. Prior to joining Guggenheim Securities, Mr. Siris worked in Citigroup's structured products origination team after positions at FTI Consulting and Ambac Assurance Corporation where he worked on esoteric asset backed financings and corporate and ABS restructurings. Mr. Siris began his career as an attorney at Cadwalader, Wickersham & Taft. Mr. Siris has a BA in Economics from Bucknell University and a JD from Fordham Law School.